This upcoming forum will explore the intersection of Arts + Real Estate. Specifically, it will focus on Infusing Art into Private Development. This forum will explore the ROI and business case for art in placemaking, why art is a smart investment for real estate developers, and benefits and challenges for artists working with the private sector. CBCA’s new Arts + Industry Forum Series offers engaging discovery sessions that bring together experts and stakeholders from a variety of arts and business sectors. By fostering a community dialogue, these forums expose our constituents to timely issues, opportunities and raises awareness on how arts interact and influence specific industries. 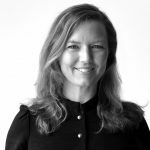 Ellen Bruss is the Creative Director and owner of a boutique design and marketing firm EBD which specializes in branding, corporate identities, marketing collateral, web sites, environmental design, and packaging for real estate, retail, and cultural clients nationwide. 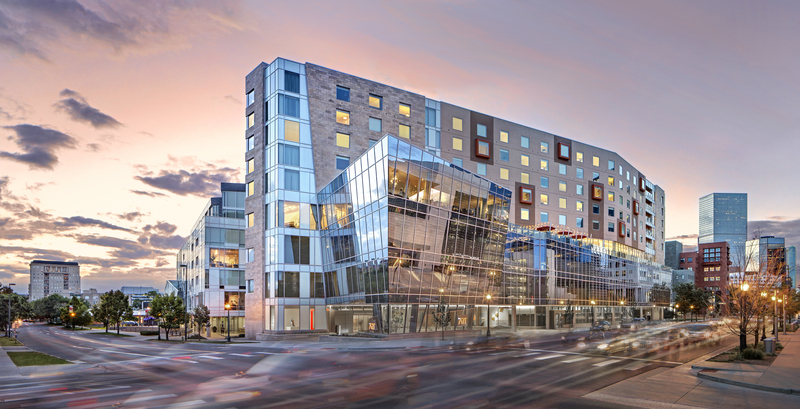 Current work includes projects for the University of Denver, Bed Bath & Beyond, Hammond’s Candies, Marczyk Fine Foods, the Museum of Contemporary Art | Denver and the Denver Art Museum. EBD’s creative efforts have resulted in national and international recognition in over 200 publications, including Graphis, Print and How Magazines. Ellen was featured in GDUSA’s 2014 People to Watch issue and was honored with an AIGA Fellow Award in 2015, an organization that recognizes individuals that raise the standard of excellence within the design community. Ellen developed a new hotel brand with her husband Mark Falcone of Continuum Partners. Hotel Born Denver opened in August of 2017 and she continues in her role as the Creative Director of the interiors, art and branding. Ellen’s community work includes the Museum of Contemporary Art Denver and Redline Arts Space. In 2004 Mark and Ellen donated a piece of land to the Museum of Contemporary Art Denver which led to the construction of a new building by David Adjaye. Amy oversees the Denver office of East West Partners, including the team creating The Coloradan, a 334-unit condominium project at the heart of Denver Union Station, and 16 Chestnut, a 430,000-sf office building anchored by DaVita, as well as identification of new opportunities in Denver. 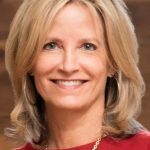 She has most recently been responsible for the revitalization of The Landmark, a mixed-use community in Greenwood Village. Prior to leading the revitalization of The Landmark, Amy helped to create the Riverfront Park community and the Union Station redevelopment. More than a collection of buildings, the Riverfront Park neighborhood of Denver, Denver Union Station and the Landmark development are based on creating a sense of place. 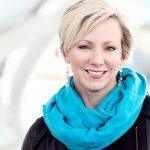 Deeply committed to the arts, Amy is a founding board member for the Riverfront Park Community Foundation, which fosters organizations particularly in the areas of arts and education in Denver. Shannon has been a member of the development team Artspace Projects since 2004. In her time at Artspace she has helped raise more than $35 million philanthropic and private sector funds for the organization’s general operations and its affordable live/work and other arts facilities projects in communities across the country. In her position as Vice President, Shannon is responsible for project-based campaigns in communities where Artspace is at work developing local arts spaces, stewardship of funder and stakeholder relationships, and leadership to the National Advancement department and Artspace’s consulting and property development teams. Shannon relocated to Denver with her family in 2016 and has a team role in all of Artspace’s activities in Colorado. Shannon received a Masters of Public Policy in 2004 from the Humphrey Institute at the University of Minnesota where she specialized in nonprofit management. She received BA degrees in Women’s Studies and Philosophy from the University of Wisconsin in 1995. 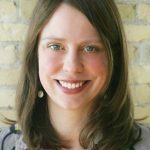 Before joining Artspace Shannon worked for the Minneapolis YWCA as a youth specialist in the Discovery leadership-development program for 10 – 12 year old girls. Before joining the YWCA she was program coordinator for the Minneapolis South High School Women’s Resource Center. She has participated in many local professional and community-volunteer efforts including conference and workshop planning, freelance writing, and fundraising consulting. 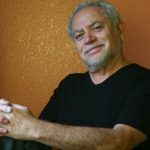 Born in Denver, Colorado in 1947, Emanuel Martinez collectors include three artworks that in the permanent collection of the Smithsonian’s National Museum of American Art in Washington, D.C. As a muralist, painter and sculptor he occupies an outstanding status among nationally known artists. Since establishing a studio in 1968, Martinez has received international acclaim and prestigious awards for his design capabilities and high standards of workmanship. He enjoys personalizing compositions for clients and doing public works of art for site-specific environments. He has been featured in over 250 newspaper/magazine articles and 36 published books, including a book written on his art career entitled: “Emanuel Martinez: A Retrospective”. Mile High Development is a veteran of large scale mixed use projects including Colorado Center, Wellington E. Webb Municipal Office, Lakewood City Commons, the ART a hotel and the Museum Residences to name a few. Today, Mile High is focused on various mixed-use TOD opportunities including affordable housing and LIHTC projects. Completed projects include the Apartments at Yale Station, University Station, Garden Court Apartments, and the Ash Street Apartments. In late 2017, Mile High/Koelbel broke ground on the Eaton Street Apartments. Mr. Thorn received a Bachelors degree in Aerospace and Mechanical Engineering from the University of Arizona. 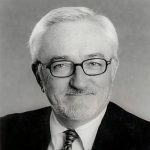 He is a former Board Member of NAIOP, a full member of the Urban Land Institute (ULI), a member of the ULI Executive Committee, a former Denver Urban Renewal Authority Commissioner, former Chair of Downtown Denver, Inc. and former Chair of the Downtown Denver Partnership. In 2001, Mr. Thorn was named Honorary Dean of the Burns School of Real Estate and Construction Management and is currently serving DU as Executive in Residence. Martha Weidmann serves as NINE dot ARTS’ CEO where she leads the firm in business development, strategic planning and financial forecasting. She is a guiding force in shaping the company’s unique approach to art advising and, together with her partner, Molly Casey, has helped to set the standard in how businesses and artists connect. Martha’s major projects include The Colorado Convention Center, The Crawford Hotel at Denver Union Station and the Town of Avon. Her volunteer experience includes the Public Art Selection Panel for Denver Union Station, PechaKucha Denver and Downtown Denver Partnership among others. Born and raised in Mobile, Alabama, Martha moved to Colorado shortly after the close of the 20th century to study communications and fine arts at Colorado State University. She holds a BFA in photography, a BA in communications and certificates in Italian art, language and wine from the Lorenzo de Medici Institute in Florence, Italy. Prior to co-founding NINE dot ARTS in 2009, Martha worked as a gallery manager with Walker Fine art and as an art consultant with McGrath & Braun. Tracy Weil specializes in building community. Over the past 13 years Weil has been the main force behind creating the River North Art District, otherwise known as RiNo. Tracy currently serves as the Creative Director for the RiNo Art District. Weil has also worked as a consultant to help the City of Lakewood start a new arts district and has worked with the Aurora Cultural Arts District. 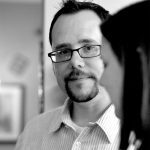 With this experience Weil continues to pursue his consulting practice as an advocate for artists and creating vibrant art focused communities. Weil is also a visual artist working on canvas and creating street murals.